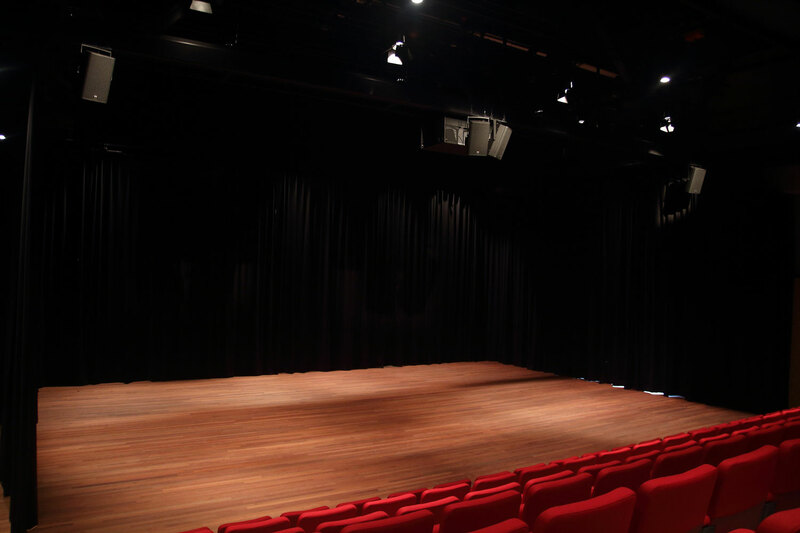 The Corrosia Theatre in Almere, Netherlands – A place where literature, fine Art, film, theatre and other activities provides enthusiasm. 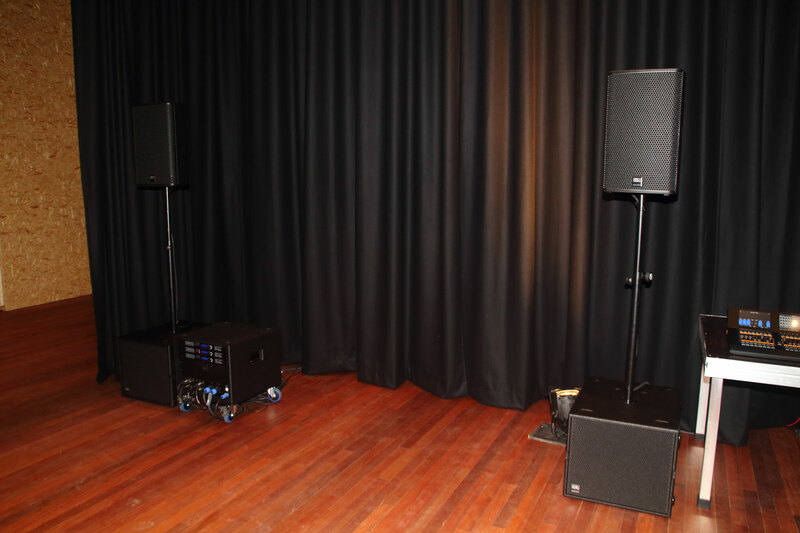 Holland PA Pro Audio (Commissioned by Podiumtechniek.nl) recently delivered a complete LCR incl. 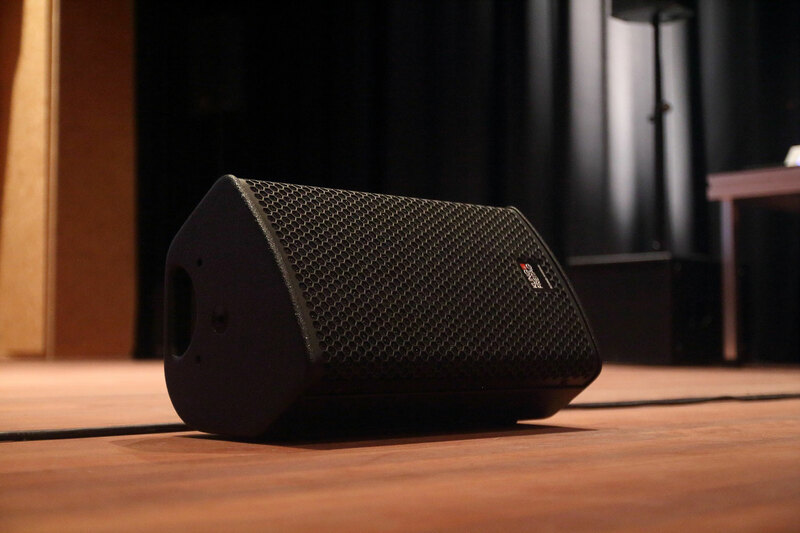 Subwoofer and a mobile Kling & Freitag sound system to the Corrosia theatre in Almere. 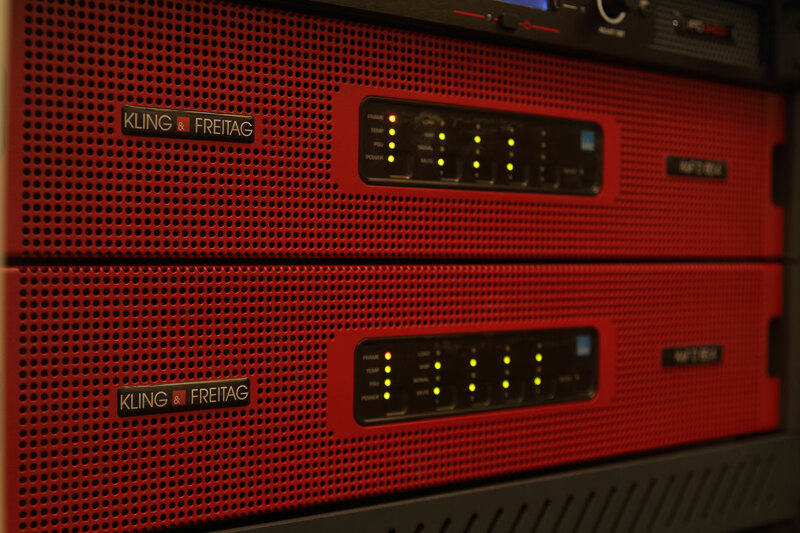 Everything can be used multifunctional thanks to the Kling & Freitag SystemAmps K&F D 80: 4 and the Lab.gruppen IPD2400 amplifier. 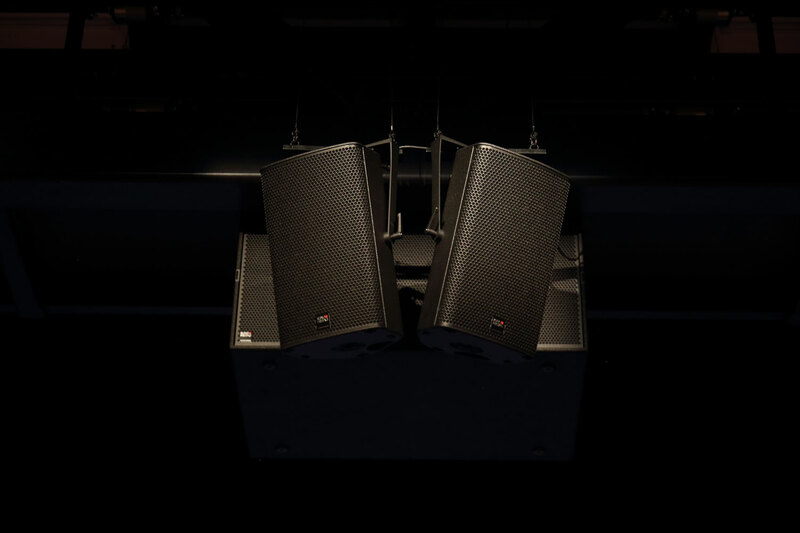 The main system for the theatre consists two GRAVIS 12+ W and the center cluster consists two GRAVIS 12+ N loudspeakers. 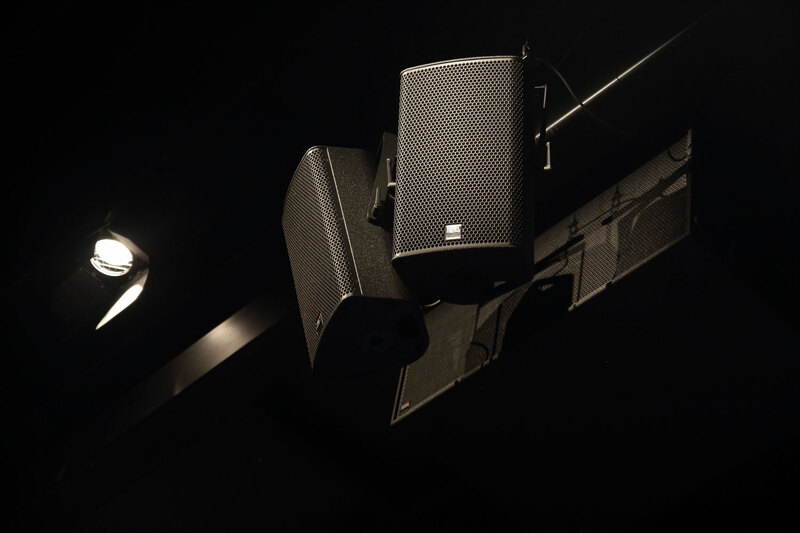 Due to the building there was a need for a cardioid subwoofer setup which was realised with NOMOS XLC. This subwoofer has three 18-inch speakers in one cabinet. 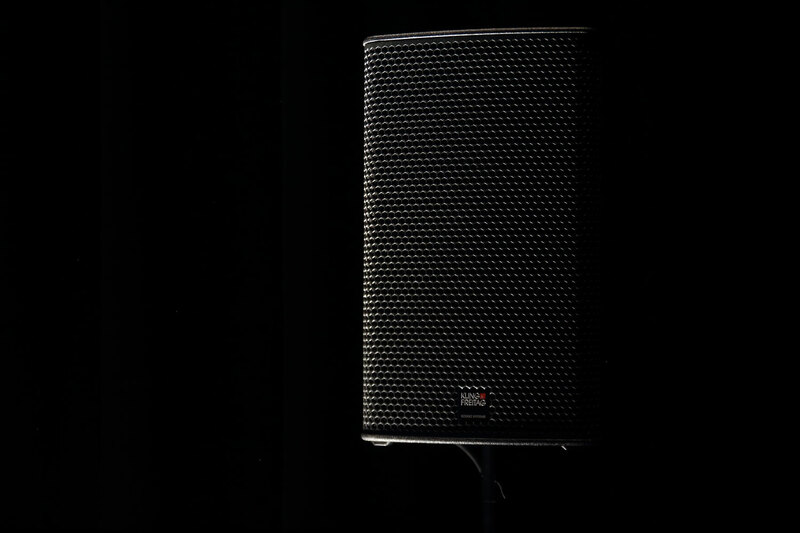 This allows to create cardioid sub with a single cabinet. The subwoofer is flown in the middle under the bridge. By doing so you won’t create a lot of “bumps” and “holes” in the low frequencies across the venue. The main system is powered by two K&F D 80:4 amplifiers. 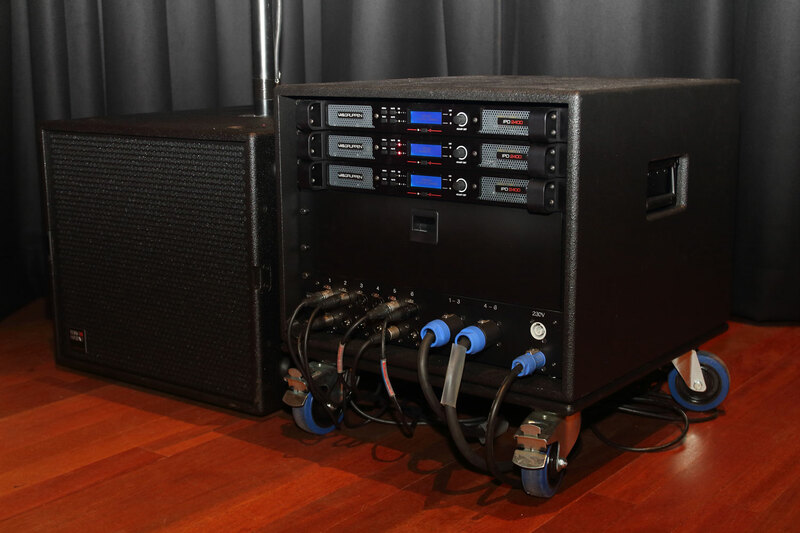 These amps have four channels and can deliver up to 8000 watts. The amps also have Lake processing build in. 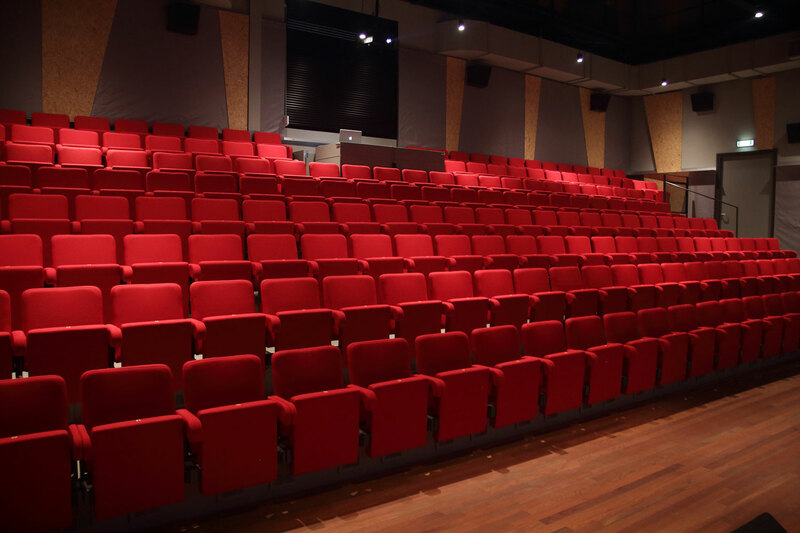 The theatre also uses a Lake LM44 in front of the K&F D 80:4. In the LM44 they can switch to different presets. 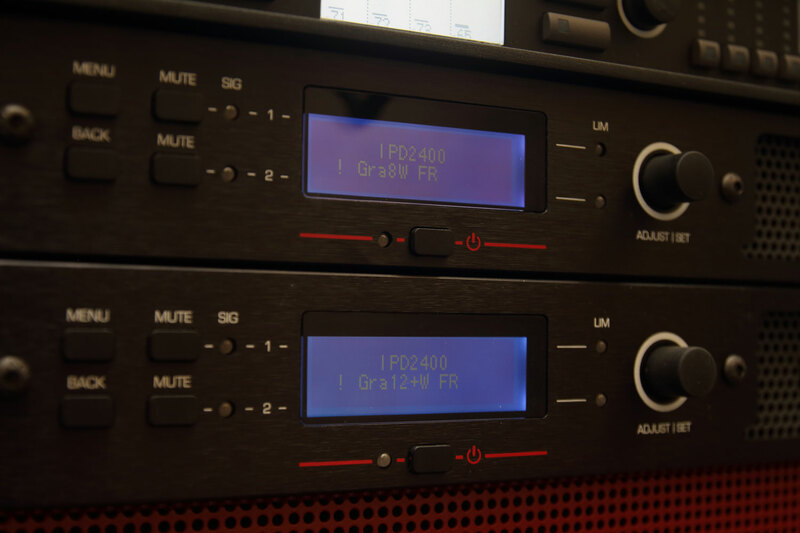 The guest technician can control the LM44, but not the K&F D 80:4 amplifiers. The LM44 and K&F D 80:4 are connected through AES/EBU with each other. 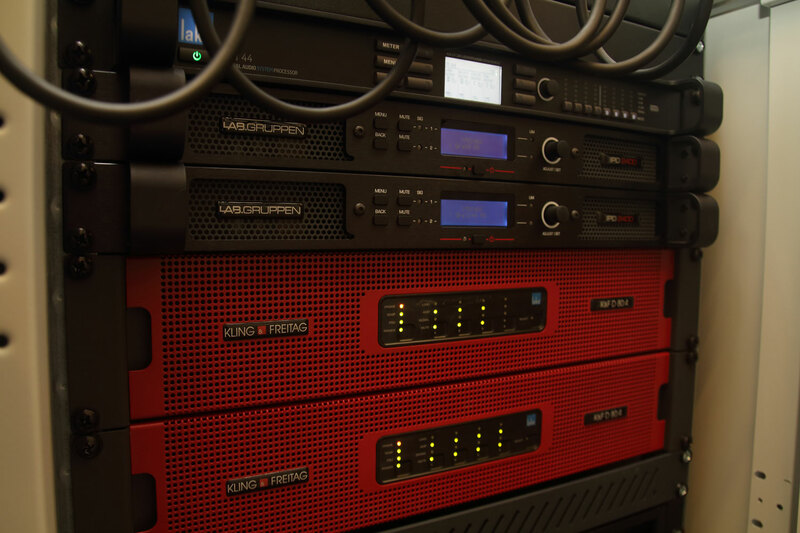 In the same rack the theatre also uses two IPD2400. 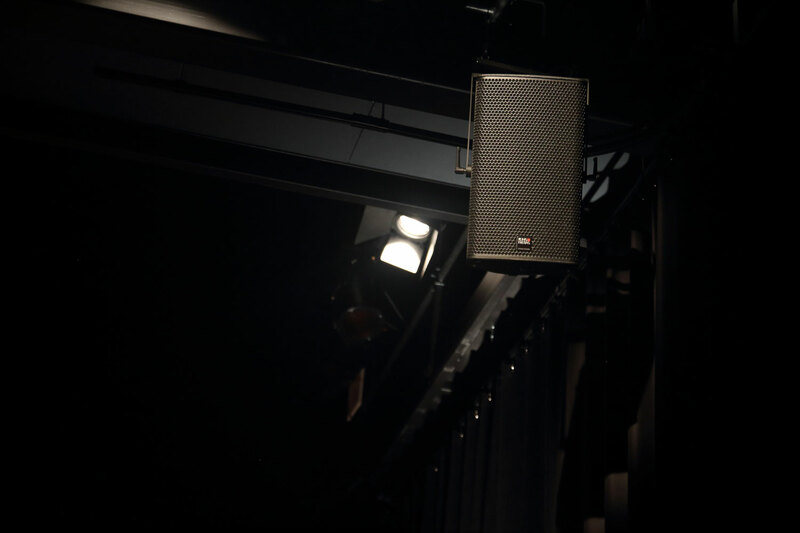 These are mostly used as monitor amplifier for a GRAVIS 12+ W or GRAVIS 8 W.
The Corrosia Theatre also has got a mobile system that they can use in different ways. It contains four GRAVIS 12+ W, four GRAIVS 8 W and two NOMOS LS II subwoofer. They can use them as monitors or for instance as a small PA system outside. 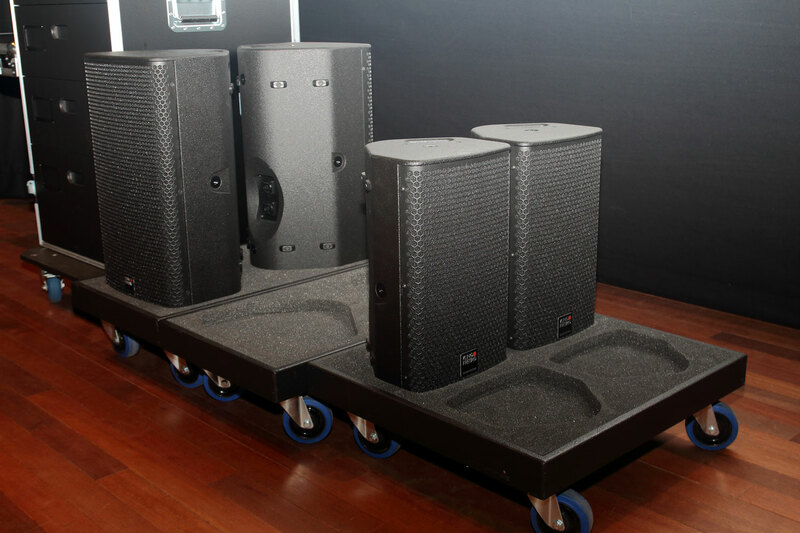 The mobile system is powered by three IPD2400 amplifiers in one transportable rack.